Updated 11-20-10. We all have a unique, personal relationship with food. Some derive comfort from food in times of sorrow and misgivings. Some use food to express our love and affection for friends and family. Others use food to make themselves grounded, to connect with their roots and to discover who they are. For celebrity chef Mai Pham, the cuisine of Southeast Asia, particularly Vietnamese cuisine, became her bridge between who she was and who she has become. If you ever happened to be in Sacramento, California looking for something akin to Asian food to eat, you may have chanced upon Lemon Grass Restaurant. Lemon Grass Restaurant is a popular restaurant in the area that specializes in Thai and Vietnamese cuisine. Its chef and owner is none other than Mai Pham. Mai Pham is a culinary teacher, a writer and a multi-awarded cookbook author. Among her books are The Best of Vietnamese & Thai Cooking: Favorite Recipes from Lemon Grass Restaurant and Cafes , published in 1996 and featured in the Martha Stewart Living magazine; and the bestselling Pleasures of the Vietnamese Table , released in 2001. Aside from the success of her books, Mai Pham has been the recipient of many awards and honors, including the International Association of Culinary Professionals Award for Excellence. She was also given an honorary master’s degree by the Culinary Institute of America, and has also worked as a consultant for many food organizations. “Cooking has allowed me to express myself, and to reconnect with my country and make peace with Vietnam. So cooking sort of became a soul-searching experience. To be able to run a successful business while satisfying your soul is a real blessing. Mai Pham's story is not at all different from that of other American Vietnamese who were forced to flee from the homeland to the United States when Saigon fell in 1975. Uprooted from everything they knew, Mai Pham and her family had to make huge adjustments in order to adapt to their new American way of life. Mai Pham actually did not study Vietnamese cuisine or the culinary arts in a formal setting. She finished college at the University of Maryland with a degree in journalism, and then worked for television for a number of years. It was only in 1988 that she chose to pursue her passion for Vietnamese and Thai cooking and established the Lemon Grass Restaurant. As Mai Pham had described it, Lemon Grass Restaurant is a place that specializes in Thai and Vietnamese cuisine. But she said that she does not combine or blend these two separate cooking traditions together, but instead lets the two complement each other. A self-proclaimed purist, Mai Pham prefers to create interest in the individual histories and culture behind these two cuisines. 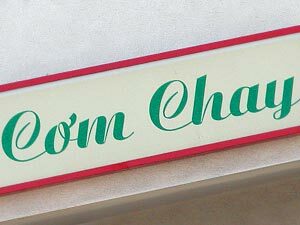 One can say that the Lemon Grass Restaurant, along with her extensive work in promoting Southeast Asian cuisine, Mai Pham was given a lot of opportunity to observe and build insights into how people in the United States have developed an appreciation for Southeast Asian cuisine over time. Southeast Asian cuisine, after all, is entirely different from what the people from the United States and from Europe are used to. For instance, Mai Pham mentioned in an interview by Cathy Nash Holley that while fish sauce is a staple in Southeast Asian cooking, it is only in recent years that Western diners sampling the cuisine from this part of the world have begun to develop a taste and an appreciation for it. There is also the challenge of pairing the right wine with Southeast Asian dishes. Southeast Asian dishes are not traditionally eaten with wine, but western adaptations have made this possible. In that same interview, Mai Pham said: "Giving respect to traditional cuisines and cultures is important, and I think it would help customers embrace these flavors and foods even more. It also helps the servers gain more respect for the food and the chef, and it gives them a story to share with customers. Using Asian ingredients just for the sake of using them, or because other chefs are doing it, do nothing for the restaurant or the cuisine." 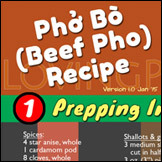 In her featured recipe in Epicurious.com, Mai Pham shared her tips on how to make a good bowl of Vietnamese pho. Her approach to this well-loved dish is practical. She emphasizes the use of fresh, high-quality ingredients, preferably bought on the same day they were to be used. 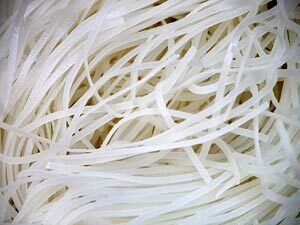 She said that Vietnamese food, including pho, are prepared in a simple way, and so the freshness and the quality of the ingredients are vital to the success of the dish. 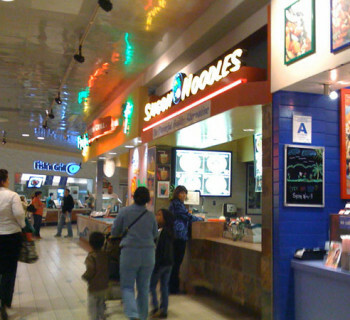 Vietnamese Pho: Franchised and Going Mainstream? What pairs well with your pho? Select 2. 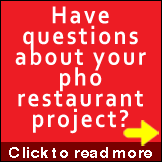 Pho addicts: How often do you have pho at pho restaurant per week? Less than once per week. 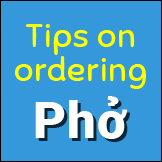 Pho Cali, Pho HoaCali, Pho Cali & Grill, Pho T Cali, Pho Cow Cali - What's in a Name?